STAINLESS V-Band Flange for 2.50" pipe or grooved for 3" pipe. Machined from solid. 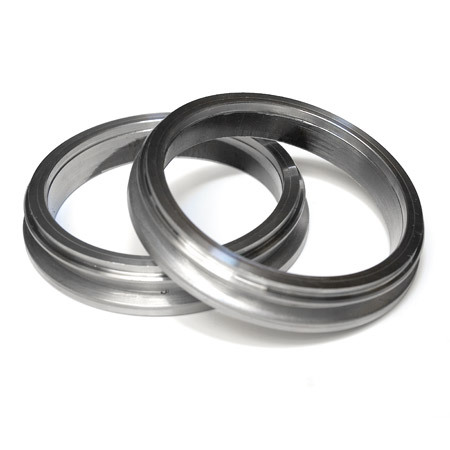 Use two of these flanges in a pair for convenient exhaust joint with clamp: CLC-CLA-012. Also use with same clamp and mate to 2.50" v-band version of T31 exhaust housing. 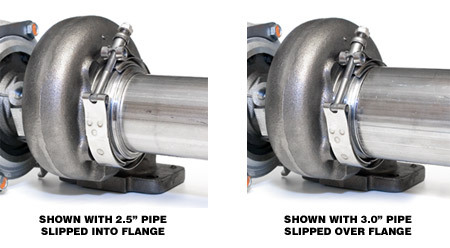 Minimum ID of flange is 2.50" but machined to accept slip on of 2.50" OD or 3.0" OD pipe.